Zeke showing off his new shoes! 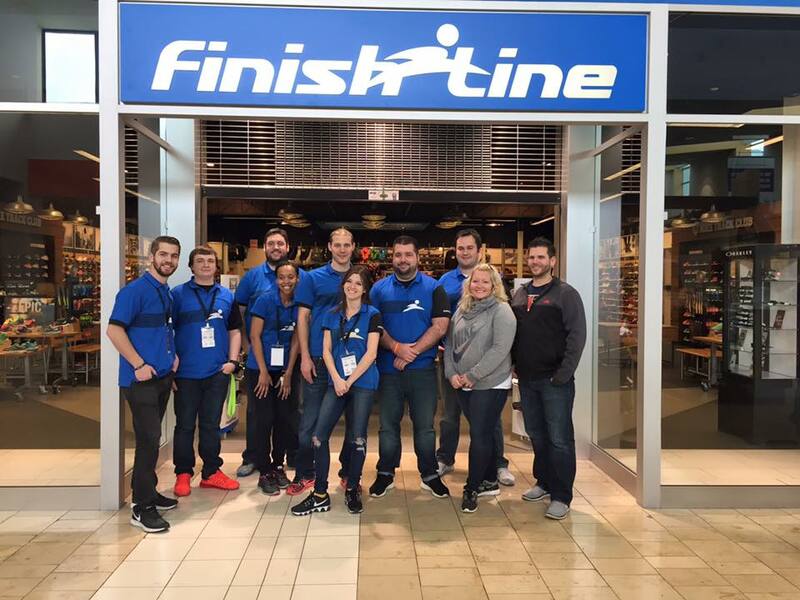 For the 3rd year in a row, The Finish Line and their wonderful staff at South County Mall opened their doors to Angels’ Arms foster families for a private shopping experience on Sunday, January 17. The amazing Finish Line staff! Because of our promise to keep siblings together in a safe, stable family environment, many parents that foster through Angels’ Arms have up to six children in their home at once, thus resulting in sticking to a tight budget. Each household only receives an average of $15 per child per month from the state, so an expense such as new, brand name shoes is a luxury that many foster families cannot afford. All ready with their new shoes! 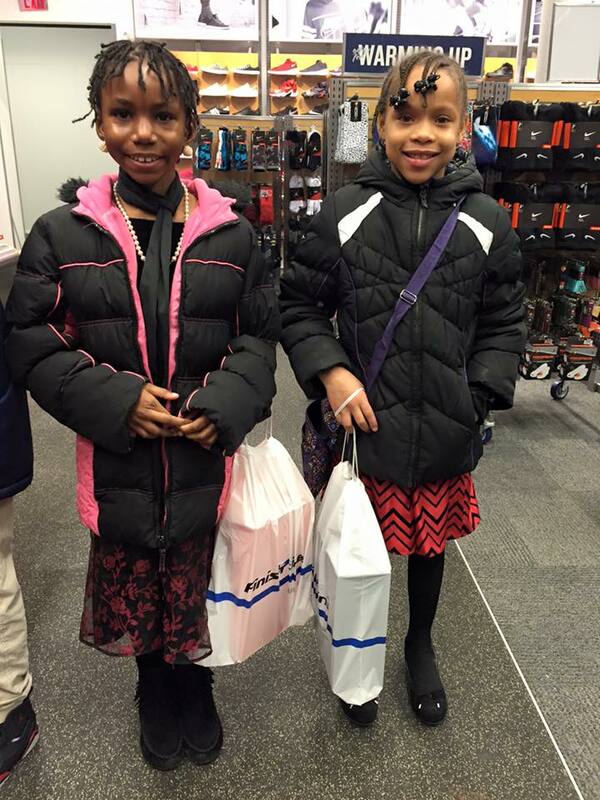 Angels’ Arms firmly believes in allowing foster children to be children, and it was through the generosity of our community and donations collected on Giving Tuesday, that allowed us to provided all 65 of our kids with a brand new pair of shoes. 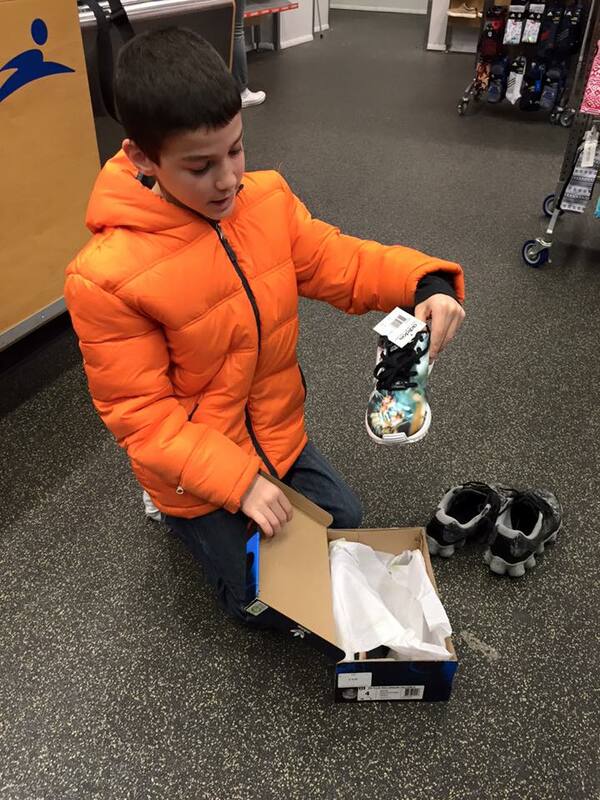 THANK YOU for making the 2016 New Kicks for Foster Kids such a resounding success!